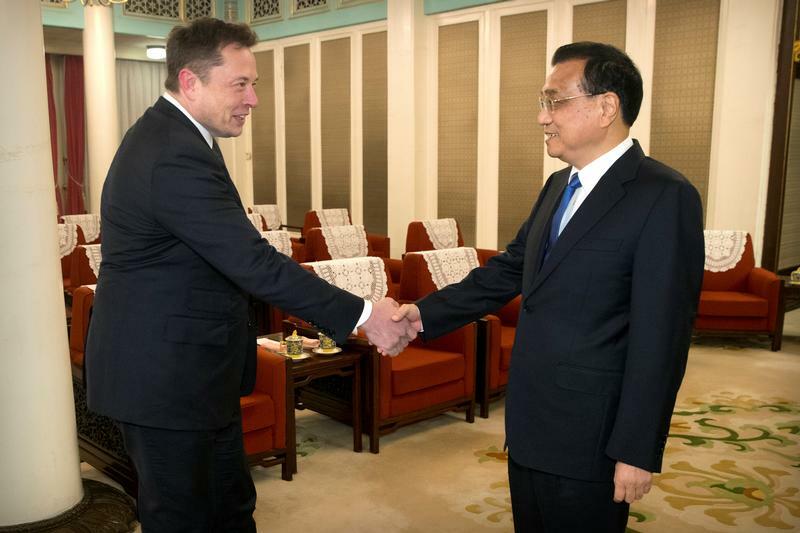 Tesla CEO Elon Musk shakes hands with Chinese Premier Li Keqiang as he arrives for a meeting at the Zhongnanhai leadership compound in Beijing, China, January 9, 2019. Foreign direct investment into China rose 0.9 percent in 2018 to 886 billion yuan ($131 billion), the Ministry of Commerce said on Jan. 14. Commerce Minister Zhong Shan told state media that FDI into China increased 3 percent in dollar terms. China's December exports unexpectedly fell 4.4 percent from a year earlier, as demand in most of its major markets weakened. Imports fell 7.6 percent, their biggest monthly decline since July 2016.